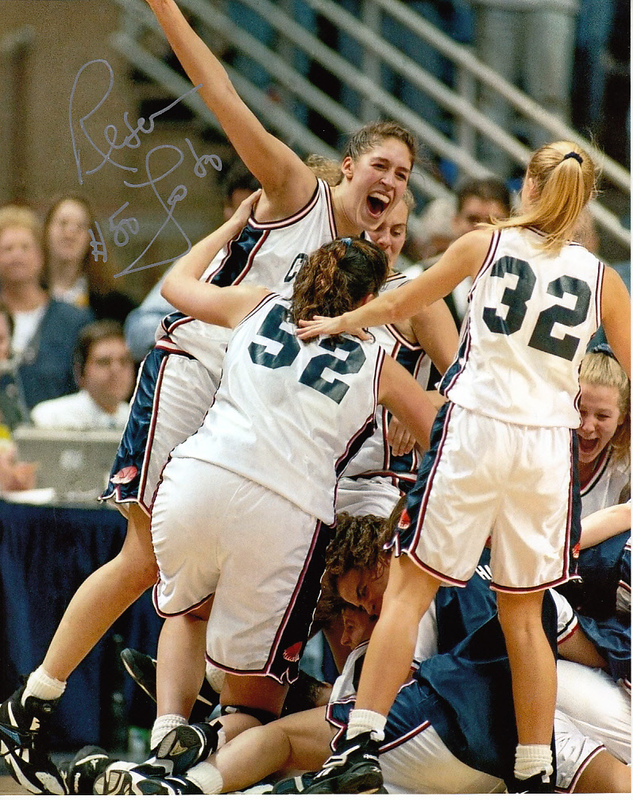 8x10 photo of Rebecca Lobo and the UConn Huskies women's basketball team celebrating their 1995 NCAA Championship autographed by Lobo in silver. Obtained in person, with certificate of authenticity from AutographsForSale.com. ONLY ONE AVAILABLE FOR SALE.